The progress of the nursery has stalled for the time being, but Jake had an incredibly hectic work schedule over past week (he worked 7/8 nights with each shift being 12 hours long - yep that's a lot!) I don't hold it against him for a minute! I think his plan is to get the painting and furniture assembly done in the next couple weeks so it will all be done by the time of my first baby shower on October 11th - then whatever baby is blessed with I'll be able to wash and put away! The thought of the nursery being put together and holding baby's belongings just makes me smile :) I can't wait until nursery holds baby, too! 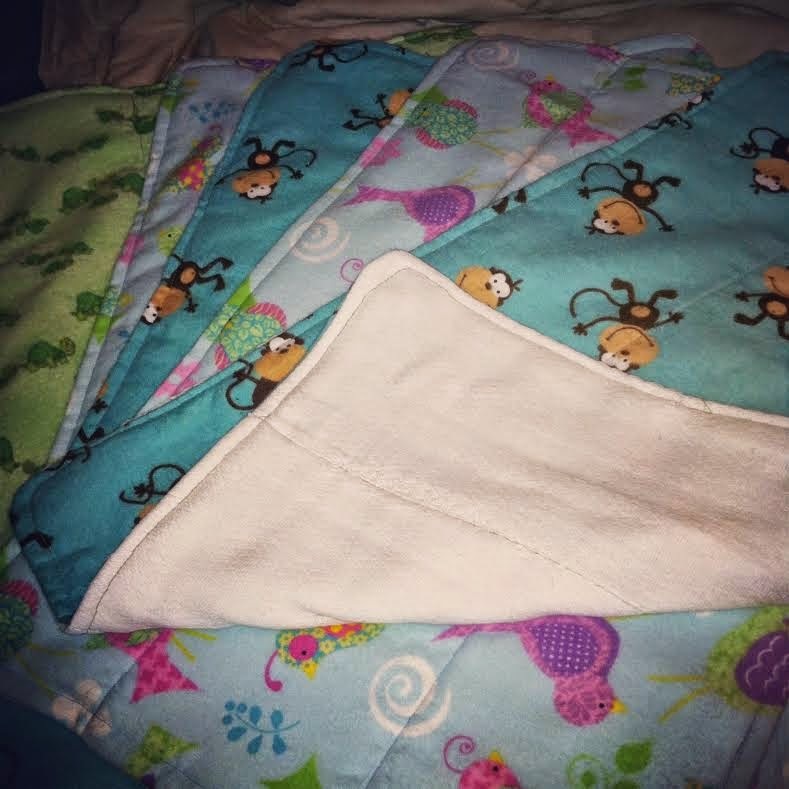 With our intention being to cloth diaper once Nugget is out of newborn sizes, I started preparing for that this past week. 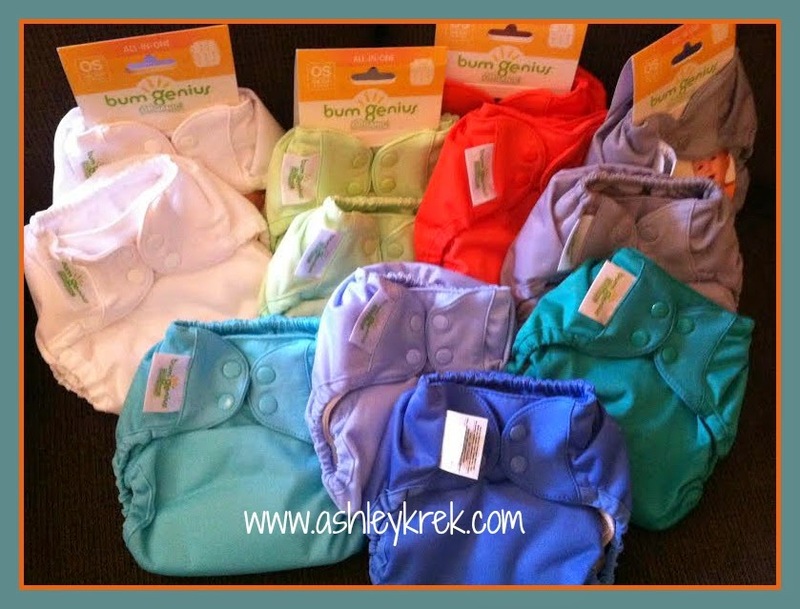 I had previously purchased some BumGenius Elemental All-in-One diapers, and the care instructions specify to pre-wash them at least 6 times before baby is in them so they are fully absorbent. So I started on that project! I've been using Charlie's Soap Laundry Powder after reading several reviews that recommended it - I'll let you know how we like it after baby is here! Last weekend I spent Saturday exploring different events and sales in the area and it was a lot of fun with a couple great friends! Jake and I decided to not decorate the nursery in a farm/John Deere/cow or Harry Potter/Paris theme because all of these things pretty much run rampant in our house - we wanted to do something that was special for baby. (Really, if I'm being honest, I decided these things and Jake went along with me - he would've been okay with anything I chose!) While shopping I found a couple things that will be used in baby's room - I'll share pictures once they're up! Weight: I have no idea, though I continue to feel huge! Sickness: Sickness has stayed away and I had energy this week - it was lovely! Clothing fittings: I feel like lately I'm realizing how much I should have gone shopping after losing the 65 pounds before getting pregnant. All my shirts from pre-pregnancy are still fitting me well (and, honestly, some are fitting me better than they were before) and with such a large belly this is proof positive that I was wearing over-sized clothes before! I think this mama-to-be may treat herself to a mini shopping splurge once I've lost the majority of baby weight! Movement: Nugget keeps kicking and it makes me smile every time! Emotions: I might have had one mini breakdown this past week, but I can't remember what it was about or if it was in a dream. So I'll call it a half win! Workouts: Every day I get more and more excited to get back to my workouts and to try out the new programs Beachbody has been mentioning! Although I continue to workout, I haven't stuck to one complete program and I'm pumped to get back into it! I have no problem in admitting when I've failed. Some people see failure as a monster to be avoided, and I like to think that I have a different point of view on failure. To fail at something means you have tried. It means you care and it means you would like to succeed. Failure is defined by the success you'd like to have in any certain endeavor - if the success means little to you, the failure will likely not even be a blip on your radar. But if you want to succeed and you want to do better, that failure may very well seem to be the size of a mountain standing in your way. Well, I will admit that I have failed more times than I can count! One of the large areas of failure for me has been this blog. I love the blog and I love the process of writing what is on my mind. I enjoy reading other's blogs and just the entire blogging community. But it hasn't always been easy to show up here five days a week (or even three over the last several months!) After finding out we were expecting a new family member and struggling through the morning sickness for the first four months or so, my blog was more often than not completely ignored. I hardly had the energy to shower, let alone devote time to writing out what I was thinking - even though I know that I enjoy it and I love being able to look back and relive these memories. So, although I have spent a lot of time failing, I'm done with that! This blog is important to me and I am ready to re-commit myself to it. I am going to share all the things that are important to me: my workouts, Beachbody, reading, baby updates and just snippets of my day-to-day life. Because somewhere in the mix of all these things that I love is a recipe for me living the happiest and best life I can - and isn't that what we all want at the end of the day?? The title of this post is Blog Design? and up until this point I haven't mentioned any little thing about blog design. Well here it is! I've always done my own thing with my blog design - I've tweaked a little bit here or there but it's never really come out looking like I wanted it to (and it takes me forever and a day just to get one button the correct size!) So, in a word, it has been frustrating! I am going to get a whole new blog design done but I just don't know where to start! I know I've stumbled across blog designers before but of course I didn't keep track of them - so I'm looking for some help! Does anyone know of a blog designer they would recommend? If so, could you pass their info on to me! If you could either comment below or email me their website/blog/etsy page at ashleykrek@gmail.com, I would greatly appreciate it! 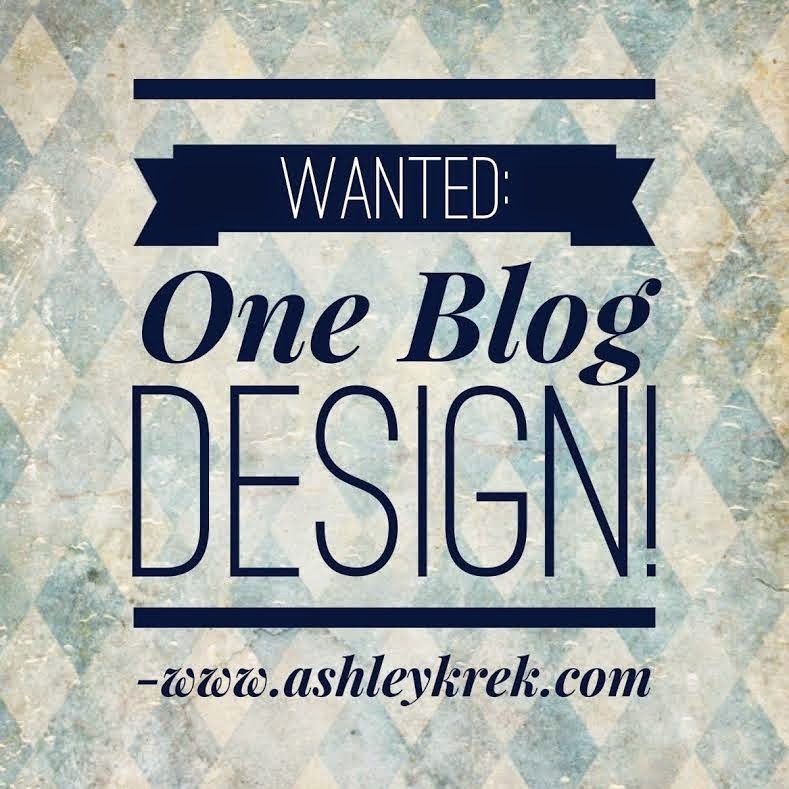 I'm SO excited to get started on this re-boot of ashleykrek.com! So I titled this post "P90 is Here!" but there's a good chance you don't know what P90 is or why you should care that it has arrived. I would love to tell you all about it! P90 is the brand-new program by Beachbody trainer Tony Horton. While you may not realize that you have heard of Tony Horton, there is a very good chance that you have heard of at least one of his programs. The most well-known of these programs is undoubtedly P90x - and if the first thought that comes to you is "that program looked HARD" - you'd be right! P90x was created for people who wanted an intense workout and was best for people who were in good shape to begin with. Who exactly could benefit from P90? Now THAT is an excellent question - and the answer? Once again, anyone! P90 will be incredible for people who are just starting their health & fitness journeys, people with a large amount of weight to lose or people who simply aren't wanting to jump into a more intense program. I don't want to stress the easy accessibility of it, though, and make it seem like it can't help someone further along in their fitness journey - because it absolutely can! Are you already a tried-and-true Tony Horton fan? This would be a great next step! Or if you just would like to maintain what you already have worked so far to achieve - this can do that! So, in all reality, this program will be perfect for people from all different backgrounds and fitness levels because Tony wanted to create something that anyone could do and anyone could benefit from! P90 is a complete 90-day at-home fitness program. Now that the weather is getting chilly and most of us will be busy prepping for the holidays, it is a great idea to have a quick workout you can do at home - and this is all of those things. The workouts vary from 25 to 45 minutes long, and you are literally told which one to do each day to get the best results - so there is no guess work and no crazy high expectations that you're already a fitness expert. This is not a program that will have you taxing your joints and ending up in more pain than when you started - it's a cardio program and includes a built-in modifier so you always have an option of the lower or higher intensity workout. This makes it easy to start with and also easy to grow with - you won't get bored! Tony doesn't focus just on the fitness and leave you to decide your meals by yourself though - no, he helps you in every way! There is a nutrition guide included with the program so you can not only get the best workout, you can learn to fuel your body in the best way so you start seeing results from the beginning and continue seeing them throughout the whole program! Are you thinking this sounds like a great idea but you're not sure how to get started? Are you nervous about committing to a program and not seeing it through to the end? Do you want results but you're not sure you can get them? That is where I come in! As your coach it is my job AND my privilege to help you get the results you want - I have changed my life and health and I want to make sure you do the same! If you are ready to make a change I am here to support you 100% and make sure you get those results! On October 13th I will be starting a brand new online support & accountability group - and you can be a part of it! P90 + support & accountability + you = RESULTS! This group will be run through Facebook and I will start each day with a tip, motivation, a new recipe, a mini challenge or something to think about - you will wake up to motivation and that will help carry you through the day! When I was younger (and, really, to this day) my dad would tell me - if you go an inch to reach a goal, I will go a mile to help you - but you have to go that inch. That is exactly how I feel now with my challengers! I love helping people achieve their goals and change their lives and I will do anything I can to make your goals become reality - but you have to just be willing to commit! To join a challenge group you just have to purchase a challenge pack through me as your coach - I will then add you to the group and we will go those miles together! Two weeks in a row I have been able to stay on top of updating - I call that a WIN! 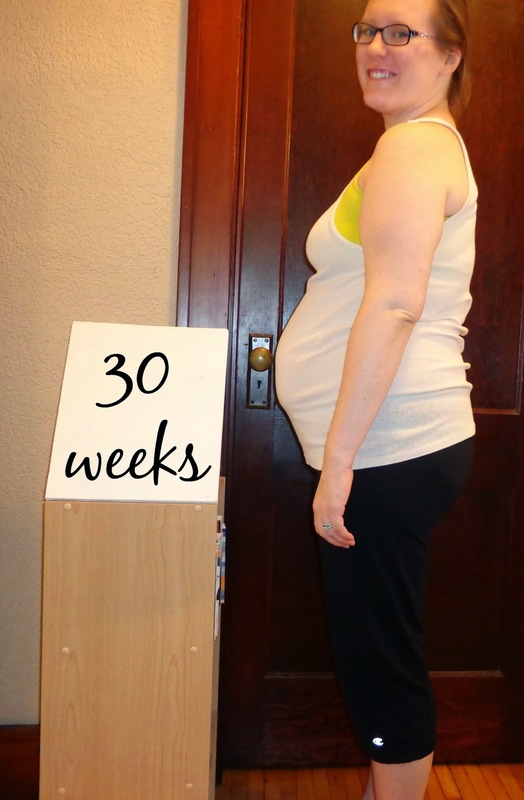 I feel like I say this every single week, but it blows my mind that I have hit week 30 and only have ten weeks left until my due date. Each week seems to go by quicker than the last, but at the same time it feels like ten weeks is still a lifetime away. I am getting anxious to officially meet nugget - but of course want him or her to stay in for a while longer. It's a mess of emotions, I tell ya! 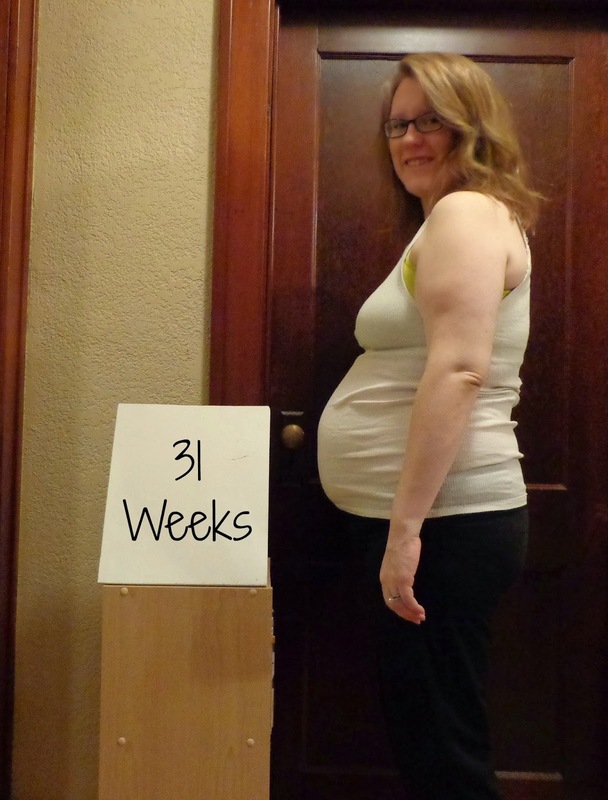 The bump just keeps growing - here it is as of week 30! Weight: I still haven't replaced the batter, so I have no idea! Monday I have another ob appointment, though, so I'll be able to see the difference over the last two weeks then. Without even knowing my weight, though, I just feel big. I don't think I have gained an inappropriate amount of weight, and I think it has pretty much settled around my belly (and a bit in my face), so I'm not saying this in a "ohmygoodness I feel fat" type of way. I just feel big! It's more difficult to move around and even flipping from side to side in bed is getting frustratingly difficult. It will all be worth it though! Sickness: No sickness and I am glad for that! The fatigue that I had been feeling has mercifully lessened and so I'm feeling much more like a human and less like a robot. Clothing fittings: The maxi dresses and my maternity pants are still my go-to pieces of clothing and I am perfectly happy with that! 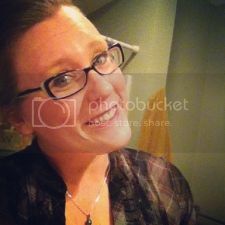 Emotions: Another week without a breakdown - I feel like super mama! Workouts: The workouts made a reappearance! With the fatigue of the past couple weeks finally easing up I got back into the workout zone and loved it! A little bit of Les Mills Combat was exactly what the doctor ordered! I am, however, SO looking forward to getting back into the swing of things with my workouts! 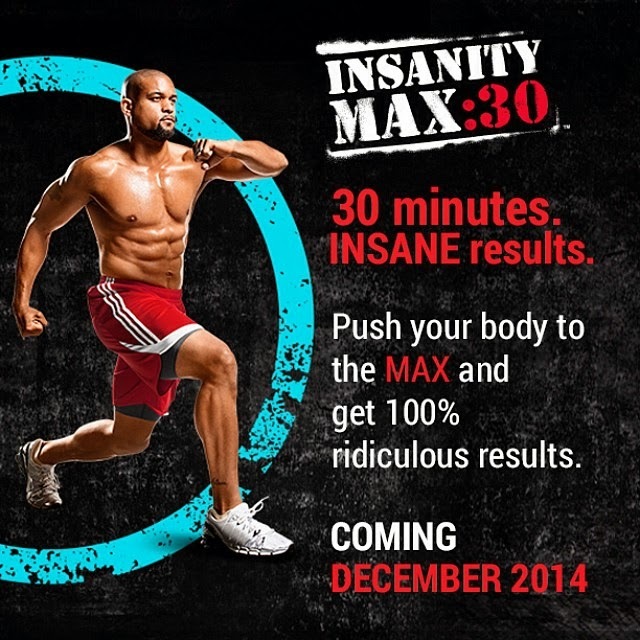 Beachbody just announced a new program called Insanity Max: 30. It's by Shaun T and it's bound to be incredible - I can't wait to be able to get started with it! Next week I'll be down to the single digits for number of weeks left - crazy!!! 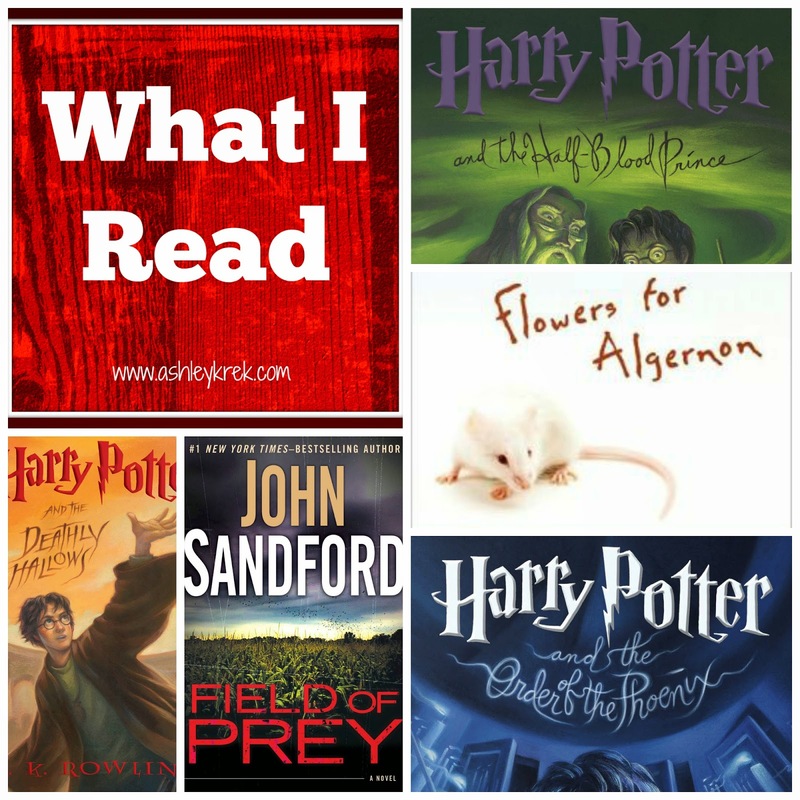 For now, though, here's what I read in July and August! 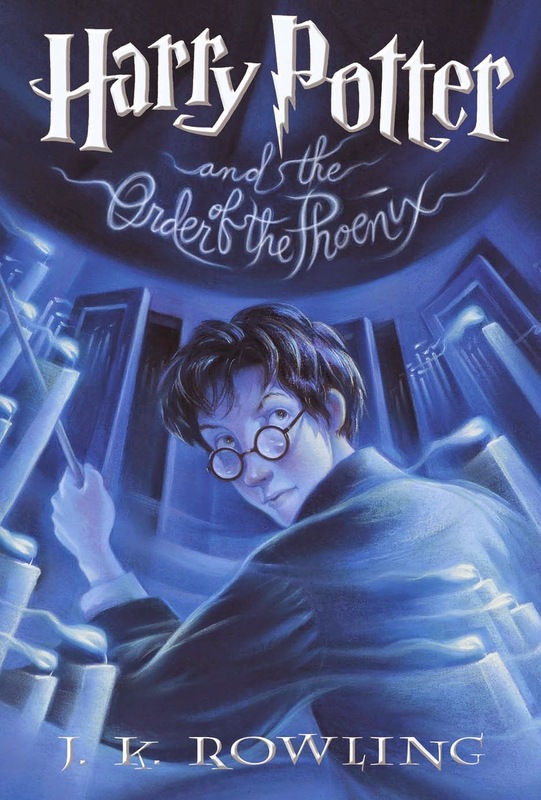 Harry Potter and the Order of the Phoenix is the fifth book in the Harry Potter series and it marks the beginning of the major build-up to the grand finale that is the Deathly Hallows. 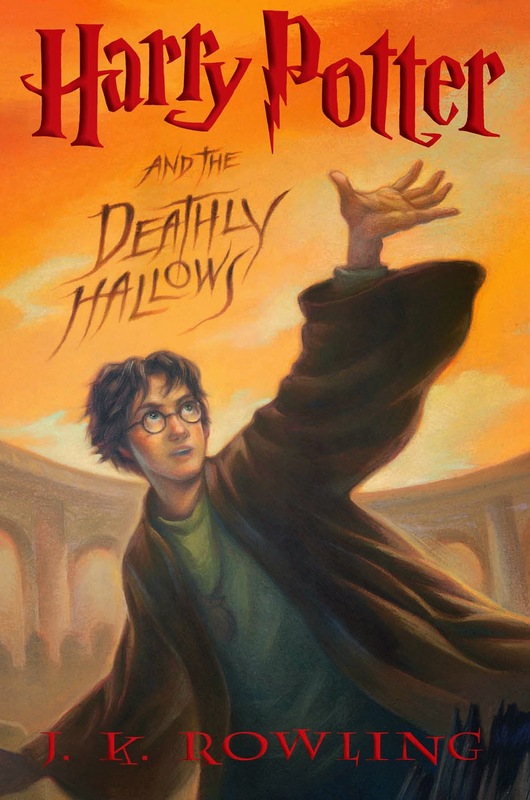 When the book opens we see Harry and his cousin Dudley attacked by dementors and the action doesn't slow down. The Order of the Phoenix, a group dedicated to defeating Lord Voldemort has been re-instated and the Ministry of Magic takes a large amount of control at Hogwarts. This books introduces us to what might be the most hated character of the entire series (yep, even more than Voldemort, if that's possible) - Dolores Umbridge. In fact, I'm not sure that I have ever hated a character more than I hate Dolores - she is the every bad teacher and authority figure you've ever met, heard of or seen in nightmares rolled into one. The story follows Harry and his friends through another year at Hogwarts, and at the end Harry learns about a secret prophecy that foretold the hatred and fear Voldemort would have for a young boy born in July. I thoroughly enjoyed re-reading this book and I found myself learning and realizing so many things I had missed before! The first four books, although Harry does face Voldemort, are not nearly as dark or foreboding as this and the subsequent books are, and I enjoy the more adult/mature writing style and storyline. Harry and his friends are given a huge shock this year upon returning to Hogwarts - Professor Snape has finally been granted the position of Defense against the Dark Arts and no one is really quite sure why Dumbledore had this change of heart. Harry and Ron are then allowed to enter Potions for their sixth year under the newest Hogwarts professor, Horace Slughorn (they had not done well enough at their exams the previous year for Professor Snape to allow them to take Potions, but Professor Slughorn is more than happy to have the famous Harry Potter as his student). Because he had not purchased a textbook, Harry borrowed a school copy, which just happens to be the property of the self-named "Half-Blood Prince". 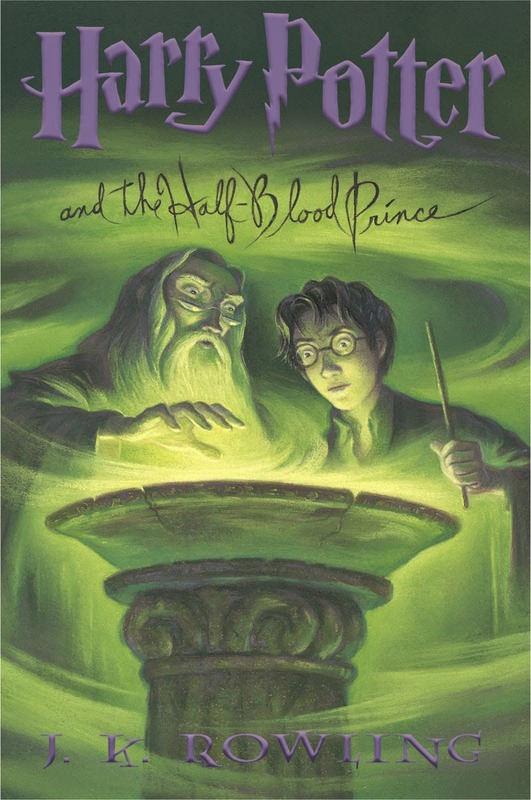 With the help of the prince's many notes, Harry becomes a star student in Potions - but at what risk?? Dumbledore also meets with Harry individually to give him more information on his past, Voldermort's life and what is in store for him. A shocking death occurs at the end of this book that leaves Harry, Ron and Hermione reeling but also fiercely determined to take action. Reading this book was incredible! I have read all of the books more than once, but I am pretty sure I somehow skipped this book in some of my re-reads - I honestly couldn't remember what happened next in the storyline half the time! That made this book, for me, more exciting than the previous five had been - I felt like I was reading it for the first time! This is it. Book number seven and it is over. Death and life. Friends and enemies. Courage and cowardice. All those things are present and they all play a huge role in how the series ends. I will stop my story-telling there, in case anyone reads this who hasn't yet read the book's finale (or seen the two-part movie finale). This book never gets old. It is always just as exciting, nerve-wracking and fun to read as the first time. I will be 100% honest - as much as I love Harry Potter (and I do) it was nice to be able to move on to a completely different story. This book by John Sanford was about as far from Harry Potter as you can go. Set in southern Minnesota, it is the story of law enforcement trying to track a serial killer after the remains of more than 15 women were found in an abandoned cistern. This book kept me on my toes and kept me interested from start to finish. It was chosen as a book in the book club I am in and it was a successful choice! There were twists none of us saw coming and there were things that hit very close to home. 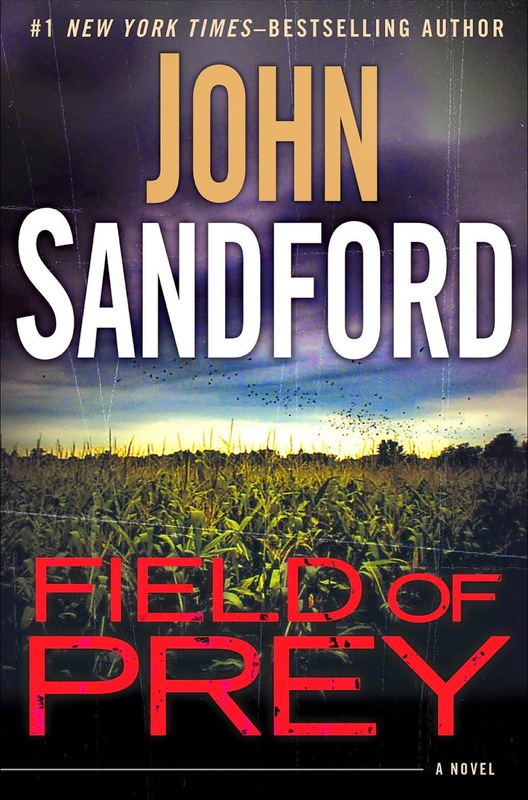 Set in southern Minnesota, Field of Prey often mentioned towns close to home - which made it a shade creepier than it might have been otherwise! Overall, I would rate this a 3.5/5. It was exciting from start to finish and there was a twist that I'm still reeling from! After finishing all seven Harry Potter books and the book club book for this month, I decided to go searching in my library for a book that I never got around to reading - and Flowers for Algernon was top of the heap. Algernon is the name of a mouse who has been given an experimental surgery to boost his intelligence - an experiment that seems to have worked and is a success. Algernon can beat mazes, solve puzzles and is absolutely going beyond what a normal mouse could accomplish. After seeing the successful transformation in Algernon, the scientists decide to try the surgery on a human. Charlie Gordon is a young man who wants to learn, wants to succeed and wants to be 'better' than what he is - so he jumps at the chance for the surgery. The story is told through journal entries of Charlie Gordon and the reader can see first-hand just what a difference the surgery makes for Charlie. His writing improves, his spelling is fixed and he writes of things he couldn't have even thought of previously. Slowly, however, it becomes clear to the scientists and Charlie (who has, by this time, even surpassed their intelligence) that Algernon is beginning to revert back to a typical mouse. Will this happen to Charlie, too? What lessons can be learned from the process - and was Charlie better off before the surgery ever happened? I really enjoyed this book. It was a quick and easy read and it kept me intrigued from beginning to end. There were some parts that made me cringe, some that momentarily broke my heart and some that had me smiling from ear to ear. I felt like this was a book you can't not talk about; I told my husband, coworkers, family and anyone else willing to listen about the book and what I thought of it. I'm still torn as to how I feel about Charlie and his transformation(s), and I'm very interested in watching the Academy Award-winning film Charly, which is based on the book. Has anyone read it? What were your thoughts? I'm going to rate this as a 4.5/5 - I enjoyed it and it really made me think and reflect on a lot of things! What's been on your reading list? I entered into 28 weeks at my family's annual Family & Friends Camping weekend. We rent out three campsites and the whole crew comes out for a weekend of lounging by the fire, going on walks, playing golf on Saturday morning (I opted out this year and instead went to the park with the kiddos, my mom and former neighbor) and just having fun being together. Normally I would have gone up on Friday night, but after a long couple days at work I just couldn't bring myself to make the drive that same night. Jake had to work that weekend but was on days, so instead of going up Friday night we had a low-key night at home and I drove up in the morning. It was a great weekend - it's crazy to think that next year I will have a family of three there! 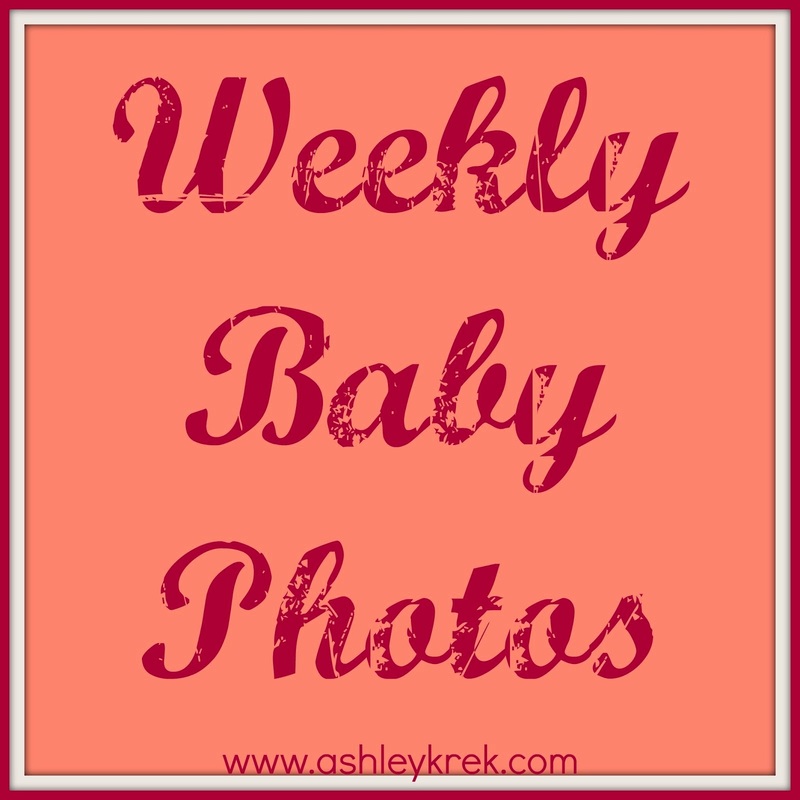 This past week started with our next ob appointment. Everything was fine and now we're going down to appointments every other week - I can't believe it! I think that will really make time start to fly. 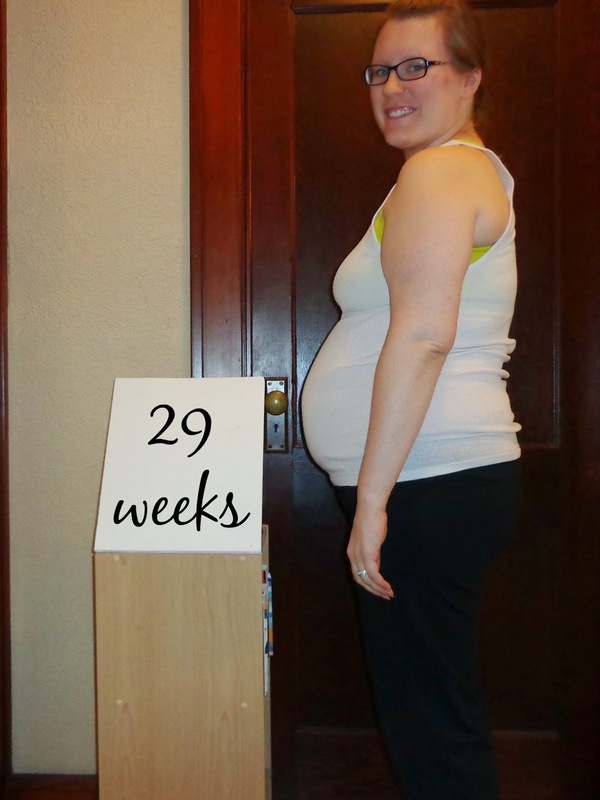 (Honestly, I can't believe that we're almost at 30 weeks - once the weeks til my due date are in the single digits I feel like I'll just blink and baby will be here!) No more progress has been made on the nursery but we did get to Sherwin Williams and bought paint! Our goal is for Jake to get the nursery painted sometime in week 29 - wish us luck! 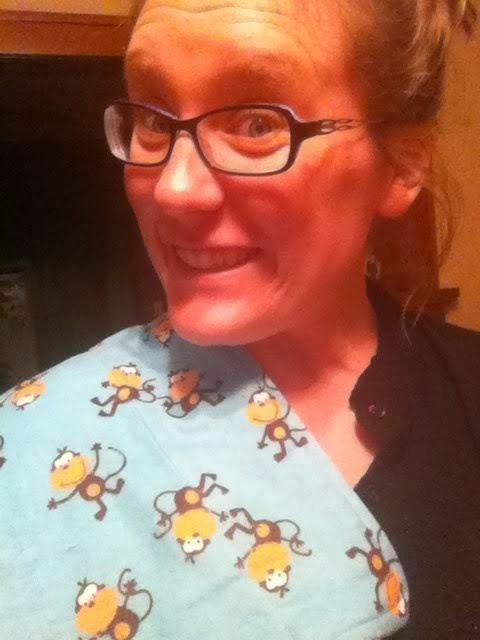 We are planning on cloth diapering and ordered those a month or so ago. There were some back-order issues, but they finally made it to our house! They are supposed to be washed six times before baby wears them, so my plan is to start on those washings once the nursery is painted and the furniture all assembled - then I'll be able to put them away and be ready for their work to start! Weight: According to the OB's scale I have gained about 20 pounds. Replacing the battery from my own scale is still on my to-do list, though, so I can track it on a more reliable scale. With switching between two different ob office locations and, therefore, different scales, the doctor himself recommended going off the scale at home for a more reliable read. Sickness: If fatigue counts as sickness, then I am there! I don't think it does, though, so this is just the complaining of a pregnant lady :) I did end up refilling my anti-nausea medicine because I had a couple bad days, but I have only needed to take a couple of them, so I am happy with that. I have noticed that if I go a bit too long in between meals or snacks I start to get sick, so I try and avoid that! Sleep: While at Babies r' Us doing the registry, I saw one of those pregnancy pillows (the ones that look like a huge upside-down U) and Jake insisted that we splurge on it. (We had just left Fleet Farm where he got TWO new pairs of boots, so he figures it was only fair that I get something I wanted, too). It was a bit on the spendy side, but I can say without a doubt that it is some of the best money we have ever spent. The fort of pillows is GONE from the bed and I can't remember sleeping better at any point in this pregnancy than I do now. I still wake up several times to use the bathroom, but it has been easier to fall asleep and stay asleep than it had been - I'm a big fan! Movement: You betcha! The movements have changed a bit, though. There are fewer noticeable kicks and more prolonged movements - less thuds and more rolls, I guess you could say. Feeling the movements and seeing by belly react is still one of my favorite things! Emotions: I am proud to say that I didn't have any breakdowns the past two weeks! Maybe I'm too tired to be able to handle it?? Workouts: I'll be honest - these past couple weeks have been not-so-great in the workout department. The fatigue has made it such a struggle to do anything outside of going to work and doing the bare minimum of housework I can justify. I'm hoping I start to feel a bit more like myself and less like a zombie in the next couple weeks! Week 27 here I am! This week was a lot of fun and I really started to feel like Jake and I are getting some stuff in order for when baby arrives. We still have a lot to do, but getting a couple things started is nice! 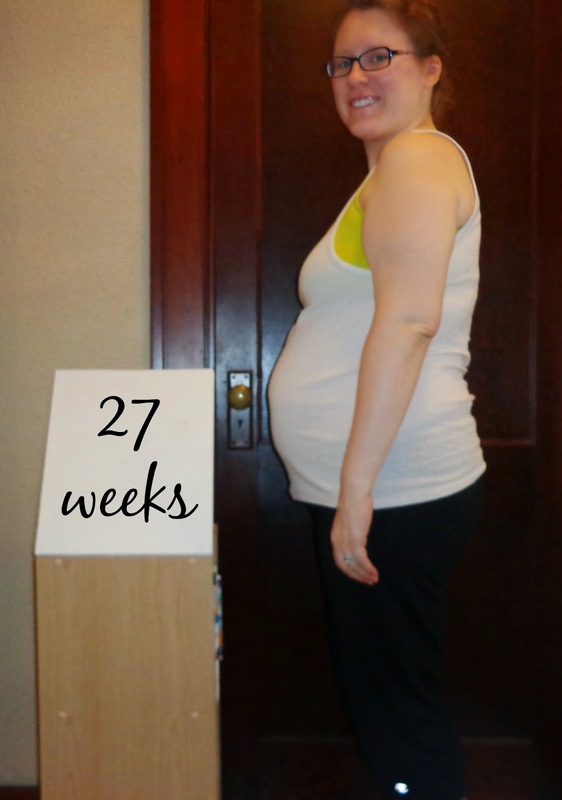 Later in the week I had a bit of a pregnancy meltdown. We discovered that somehow a mouse had found its way into our basement (gross, I know. It gives me the heebie jeebies just thinking about it!) After finding out about this mouse, I proceeded to cry and tell Jake that I wanted it gone (emotions and hormones were clearly running high). Well, Jake not only took over laundry duty for the week so I didn't have to set foot in the basement, he also set up mouse traps. On Wednesday when we were both home for lunch, he went and checked the traps - and the mouse was no longer a resident of our house! After the initial relief that the mouse was gone and couldn't get back in, I then started sobbing. Uncontrollably. We're talking a full-on sobfest where I could hardly catch my breath and Jake had to calm me down so I didn't pass out from lack of oxygen. Why? Well, because my hormonal brain started thinking "it's really pretty sad that this little mouse was just hanging out, thought 'I'm kind of hungry - I'll go look for some food'. It found some food (the peanut butter on the trap), started having a little snack and then died." The little mouse's demise set me off and I think it was a good 5 minutes before I could breathe normally again. Pregnancy: 1. Ashley's emotional stability: 0. Baby has continued to kick up a storm, we've continued our nursery discussions and I also found a pair of jeans that still fits! 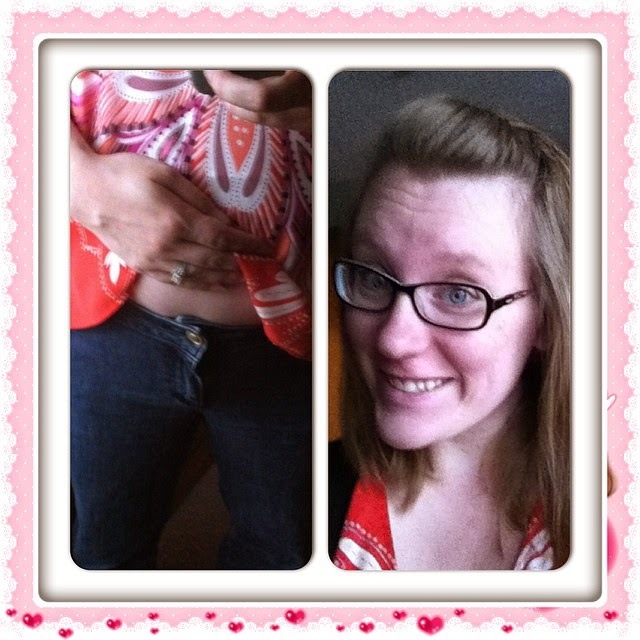 And now for that baby bump! Weight: I still haven't replaced the scale so I don't know where my weight stands! Sickness: No sickness to speak of and I am so grateful! Food Aversions: Nothing new this week! Clothing fittings: Clothes are still fitting - including the jeans I got to wear on Friday at work because of the long weekend ahead, but I think the jeans won't last long :) I have been wearing my maternity pants to work and am SO comfortable! Sleep: Sleep has been touch-and-go. I thought I had "cracked the code" last week, but that was a short-lived celebration. It's been uncomfortable trying to stay on my side and the bed has become more of a fort because of all the pillows I need to have on it! Workouts: Working out has been great! I don't push myself as far as I used to but it's nice to just have some activity in my week!